Enjoy the luxury of living near downtown, with the easy access to river valley greenspaces, golf courses, parks, trails and a number of recreation opportunities within the neighbourhoods of Central Edmonton. Condos for sale in this quadrant of the city feature a range of sizes and styles for all buyers. You'll be near schools, playgrounds, transit, arts, culture and entertainment. Like dining out? 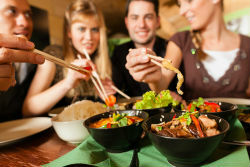 Residents of Central Edmonton condos can have the best of Edmonton's global cuisine right out their front doors. 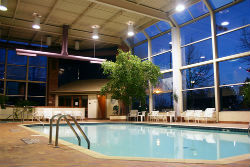 See Central Edmonton condos for sale or read more about building amenities! Making Your First Condo Purchase? We can help first time homebuyers on the path to purchasing these hassle free, low maintenance residences. Learn more about the unique market of Central Edmonton condos and reach out to us today! Whether it's high end vistas or budget-friendly residences within walkable communities, there's Central Edmonton condos for sale waiting to be explored. From downtown, to Oliver, or just off Jasper Ave, there's a wide range of residences to choose from. Condos for sale in Central Edmonton give residents a great selection of special features to choose from. You might find indoor/outdoor pools, saunas, roof decks, underground parking, high tech security, and more. Right outside the doors, buyers can find funky cafes, cool bistros and beer gardens, fine and casual dining and plenty of greenbelt trails to uncover. Do you want to be the first to know about Central Edmonton condos that meet your search requirements? When you register with us you can get custom email alerts!